Potentially facing incredibly dangerous hurricanes every year, the southern portion of the United States has to take certain precautions that the rest of the country just does not have to worry about. 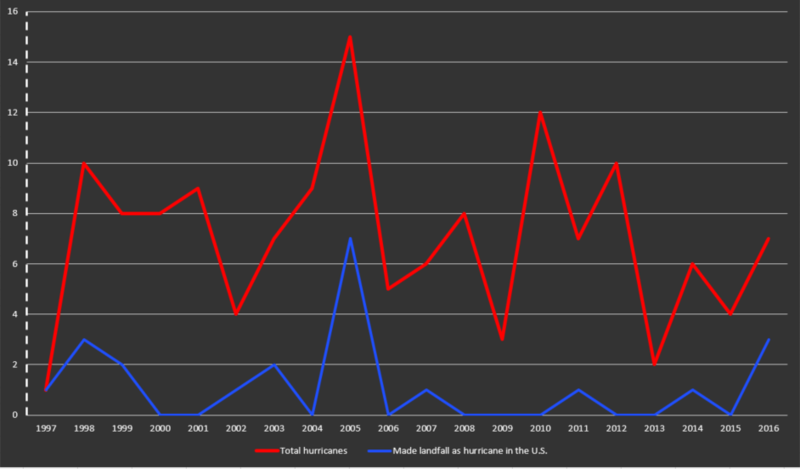 On average, there are about 7 hurricanes that form a year with the southern portion of the US receiving the largest portion of the punishment. Of these hurricanes, Hurricane Katrina caused an estimated $50 Billion in damage to New Orleans and the surrounding areas. With this much potential destruction possible every year, different sections of a state’s government will implement laws, regulations, and procedures to help ensure that their people, the property, and the infrastructure stays safe and intact. Most of these measures can be filtered into one of two different categories: proactive and reactive. Both of these measures can be provided by either the public or the private sector through different avenues. This post will reflect primarily on the proactive and reactive measures seen by companies in the modular construction industry. With an area that frequently receives these natural disasters, the entire landscape of the area is shaped by them, both literally and figuratively. When cities and construction projects are planned, wind forces have to be taken into account for every structure designed and built. Typically, all new structures (for Florida) will have to meet the state’s provided wind load rating for their area. These regulations are provided via the Florida Building Code and are the basis of wind load regulations and guidelines of neighboring states. In order to meet these often strict codes, buildings are often reinforced with special materials in order to make them rigid enough to withstand 180+ mph wind speeds. For our modular buildings, our prefabricated buildings are manufactured with added steel channeling in each of the panels. The higher the wind standards of the area, the more steel channeling the wall panel will receive. 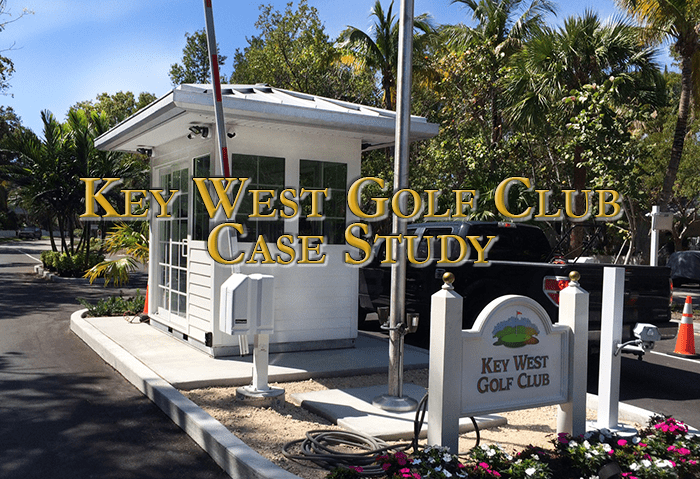 Also, for the most challenging climates, we have developed a welded steel line of guard houses that can withstand ultimate wind loads of 180+ mph. Because of precautions and planning such as this, areas like Key West, Florida can more easily recoup after a giant storm. The area may still sustain large amounts of property damage in the form of fallen trees or flying debris, but with buildings designed to withstand hurricane-like conditions, the people working in these buildings are able to get back to a normal life much sooner than before. If the natural disaster does hit and the structures are lacking in quality or were not designed to the proper code, then total loss is a possibility. So, these buildings and communities need to be rebuilt fast and to a high standard. In this case, modular construction once again turns out to be a very effective tool in disaster relief. According to a SmartMarket Report from McGraw Hill Construction, 66% of construction firms that utilized modular construction in their projects saw a decrease in their project schedule. 35% of these firms saw a decrease of 4 weeks or more. So, with an overall quicker project delivery, modular construction helps get these communities get up in running again as soon as possible. McGraw Hill also reported 65% of firms that utilized modular construction saw a decrease in project budget. In addition to the quick project times, modular construction would offer to a recovering community, these structures are completely manufactured off-site, only requiring installation on site. With a potentially highly disrupted job site, having less heavy machinery around the area could be very beneficial or a requirement. Currently, the construction sector has experienced severe problems with their labor supply. In the aftermath of Hurricane Harvey, Houston is running out of workers to help rebuild. By utilizing modular constructions in these recovery projects, the construction firms could get the labor relief they need in an assembly-line form. Being manufactured in a controlled factory setting, these structures are put together by workers piece by piece, only focusing on the stage of construction that they specialize in. There are no outside factors that go unaccounted for and the structure moves through the manufacturing process like it is on an assembly line. What does this create in a modular structure? This type of manufacturing and assembly creates a consistently, structurally sound building with a quality design. With the structural rigidity that modular construction provides, high disaster areas can be better prepared for the future. After storms Harvey and Irma, more and more people are understanding the importance of these standards. However, it is important that construction companies do their part in informing the public and their own communities on these standards and act transparently in their ability to abide by them. If you have any questions on modular construction or Panel Built’s ability to help provide your company with a structure for disaster relief, give us a call at 800-636-3873 or send us an email at Info@PanelBuilt.com.